Car parking: Spaces are in the Lowry Outlet. Parking for evening shows is from 5pm and for matinees from 12pm. Blue Badge Holders: Spaces are in the Lowry Outlet. 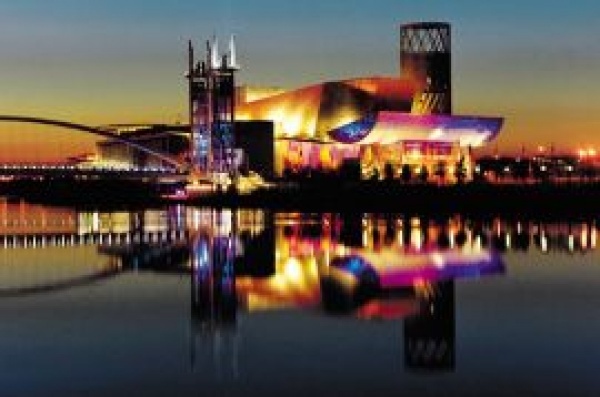 The Lowry also offers two Blue Badge parking spaces available on a first come first served basis. They cannot be booked in advance and we accept no responsibility for vehicles parked in these spaces. Pre-pay parking: When you book your theatre tickets for £5.50. We will send you a parking voucher with your tickets. On arrival at the car park, take a ticket to enter and use your voucher when exiting. You can also pre-pay for your parking on the day for £6 by taking your car parking ticket to any pay station in the Lowry Outlet between 5pm and 8pm. Insert your car parking ticket, select Lowry pre-pay, tap validation and pay. Doing this means no queue to leave the car park after your visit. Your ticket will be valid between 5pm – 1am. Please note there is no facility to pay for parking in The Lowry.